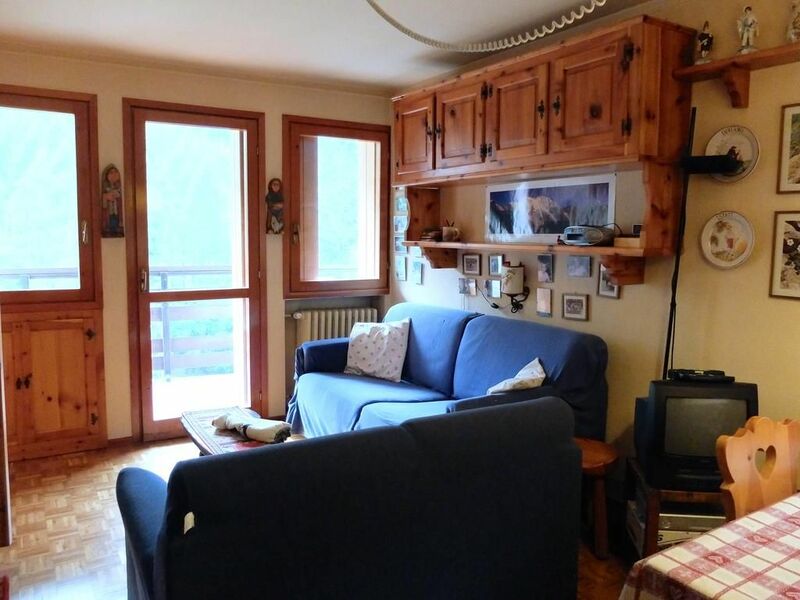 Cozy mountain style apartment located in Gressoney Saint-Jean, with a small terrace with stunning views of Monte Rosa. The total living space is 35 square meters and consists of a dining area with living room, a bedroom with bunk bed and wardrobe, a small kitchen + bathroom. The apartment also has a television, washing machine, hair dryer, kitchen utensils. Free parking.